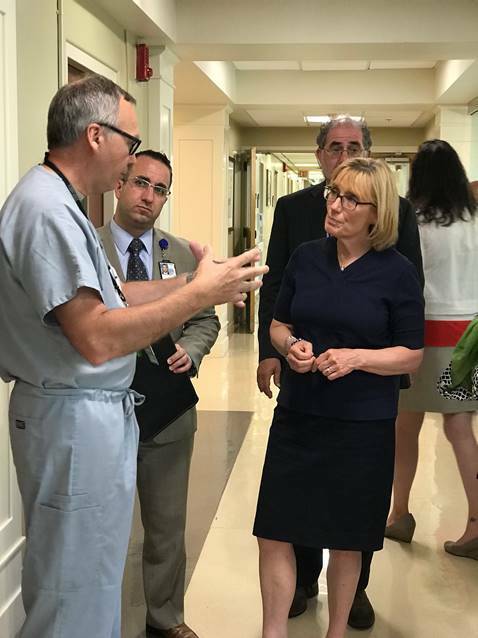 Courtesy photo U.S. Sen. Maggie Hassan, D-N.H., on Monday tours the Veterans Affairs Regional Office in Bedford, Massachusetts. BEDFORD, Mass. 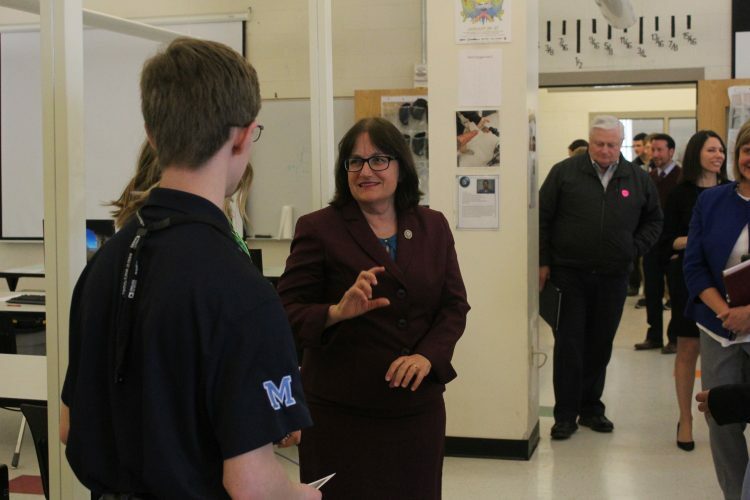 – U.S. Sen. Maggie Hassan, D-N.H., on Monday visited the Veterans Affairs Regional Office. 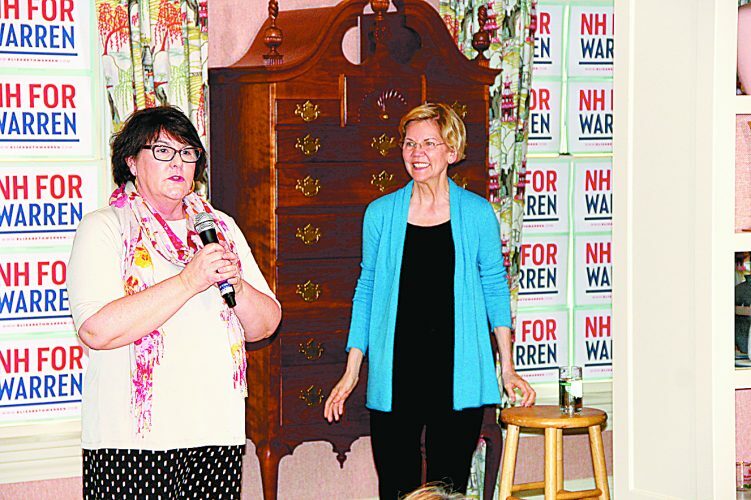 There, she met with leadership of the VA New England Health Care System, visited with veterans, and highlighted the importance of ensuring that veterans in New Hampshire and across the country have the care and support that they need and have earned. Hassan met with Acting Network Director Barrett Franklin, Acting Chief Medical Officer Dr. Lisa Lehmann, Medical Center Director Dr. Joan Clifford, and Chief Communications Officer Maureen Heard. Hassan and leadership of the VA system also discussed recent reports of nursing homes not meeting the needs of veterans. 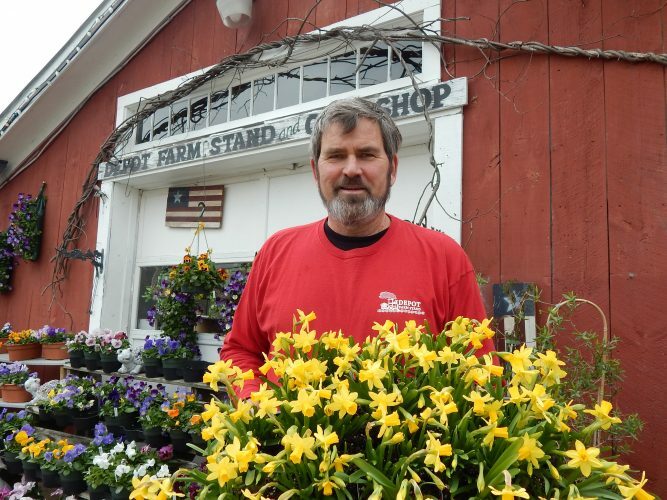 Supporting New Hampshire’s veterans is a top priority for Hassan, as she recently voted to pass the bipartisan VA MISSION Act, which has now been signed into law and works to strengthen the VA system, while also recognizing the importance of community-based care. Additionally, Hassan recently introduced a bipartisan bill with Sen. Marco Rubio, R-Fla., which would prioritize veteran employment and education programs at the VA.